A new scholarly paper from Santa Fe Institute (SFI) and University of Colorado, University of North Carolina, and University of New Mexico researchers argues that ancient and modern cities can be usefully analyzed from a comparative perspective. This promises contributions to the social sciences as well as contemporary urban planning and policy. However, what you do with the comps depends on how much you value similarities versus differences in urban form. In “Settlement Scaling and Increasing Returns in an Ancient Society,” co-authors Scott Ortman, Andrew Cabaniss, Jennie Sturm (a former student of ours here at the University of Denver), and Luis Bettencourt argue that all cities essentially follow the same rules of development as a function of “general network effects typical of human social networks embedded in space.” That is, as urban populations increase in size and density, per capita productivity and efficiency also increase. 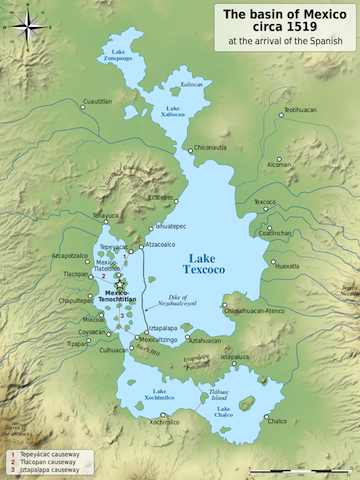 Archaeological data from the pre-Hispanic Basin of Mexico, including the great metropolis of Teotihuacan, are used to make the case. With increases in settlement size public monuments get bigger and more voluminous, as do residential dwellings. These trends are used as proxy variables for social productivity (i.e., GDP) and personal productivity, respectively. Also increasing, however, are disparities of wealth. Over time, the top 10 percent of Basin households come to encompass 40-50 percent of the total housing area. Thus, like modern cities, the benefits of increasing urban size are not widely shared across the resident population. The city’s status as a “social reactor” is enhanced with scalar increases in size, but this comes at a social cost. The authors see their work as having general predictive value that can help shape contemporary urban policy. The Basin study is excellent archaeological work. However, the exuberance about the findings might be a bit over the top. We shouldn’t be surprised that there would be strong, compelling parallels between ancient and modern cities, however variable their political economies. We’ve known for a while that non-capitalist societies can generate scalar efficiencies of production as well as great social inequality. Another, perhaps more fundamental reason is that we’re dealing with the social networks of Homo sapiens sapiens, a species united by its big brain and commitment to life in groups. 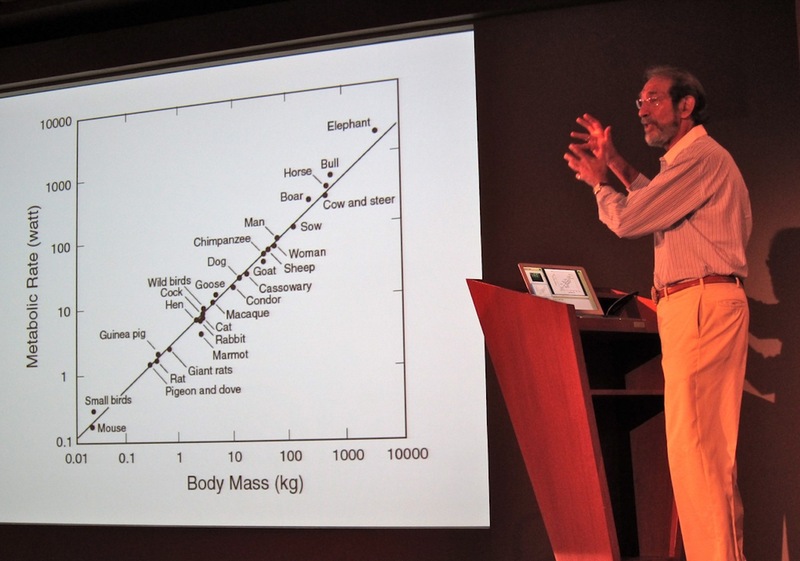 Indeed, Ortman et al.’s argument dovetails with an earlier one by Bettencourt and his SFI colleague Geoffrey West (summarized in the Sydney Morning Herald) that trades on analogies from mammalian biology to argue that all cities are 85 percent alike in the way they look, work, and evolve as a function of size. For West and Bettencourt, cities are scaled up versions of each other in much the same way that “a whale is a blown up elephant, which is a scaled up giraffe, all the way down to a mouse and shrew.” Like Ortman and collaborators, West and Bettencourt argue that the key to understanding cities, and solving their contemporary problems, depends on understanding these universal properties and not the 15 percent of contextual stuff—local geography, history, culture—that make cities individually unique. West and Bettencourt’s argument from animal biology can be compared to another analysis of human groupings that produced identical numerical results, Richard Lewontin’s famous 1972 study of human “racial” variation (summarized here). Lewontin concluded that 85 percent of all human genetic variation is contained within local populations and that no more than 15 percent is attributable to variables like local ecology, ancestry, ethnicity, etc. In other words, traditional human “racial” groupings are much more alike than they are different. For Lewontin, the physical characteristics of shape and form widely used to distinguish Africans, Asians, and Europeans are trivial…literally skin deep. West and Bettencourt argue much the same for what we take to be the defining formal characteristics of cities like Lagos, Tokyo, and Paris. But Lewontin’s conclusion also potentially overstates the significance of 85 percent similarity. It seems that we can embrace the fundamental sameness of human beings—as well as their urban settlements—and still see the important number as being the contingent 15 percent rather than the universal 85 percent. This is especially crucial if we’re concerned about the health and well being of individual citizens. Lewontin’s critics argue, with some justification, that the 15 percent “racial” difference is vital for understanding the differential susceptibility of human populations to disease and the likely success of alternative treatments even if we accept his larger insight that the human species is a remarkably unified biological entity and that racism has absolutely no scientific justification. That is, how we regard the small percentage of difference among humans (whether with a concept of “race” or some other analytical construct) has significant implications for medical diagnosis and, thus, can be a matter of life and death for individuals. The same importance might be attached to the small number of historically and culturally contingent factors that produce differences between and among modern and ancient cities. Ed Blakely, an urban planner at the University of Sydney, is quoted in the Morning Herald story as someone who sees the 15 percent difference as critical even as he appreciates the generalizing significance of West and Bettencourt’s work. For Blakely the 15 percent of urban form that can be manipulated by human beings provides “plenty of scope for good planning to make a difference” in how cities work and adapt to changing circumstances. I agree, but would add that it can also make a big difference in the lives of individual citizens, especially those who do not reap the benefits of urban scaling (i.e., the urban poor and other historically marginalized groups). West and Bettencourt appreciate Jane Jacobs’ insight that the enormous creativity of cities—their status as social reactors—derives from people and their interactions. Indeed, West believes that SFI researchers have scientifically confirmed the great urbanist’s conjectures about the vitality of urban interactions. Ortman and his collaborators would almost certainly agree. All would likely acknowledge the positive role that urban planning can play in facilitating such interactions. But they still seem to assume—unlike Jacobs—that the built environment is little more than a passive container for human interactions rather than an active determinant of the quality of those interactions. If we assume the latter, then urban planning and placemaking is better served by attending to the specifics of culture, history, and their relationship to design rather than to general laws of urban development. An indisputable virtue of studies like Ortman et al.’s is that they make archaeology relevant to the modern world. They break down the barriers that we tend to erect between past and present. Ortman suggests that a comparative urbanism encourages us to see ancient and modern cities as lying on a continuum. Fair enough, but we should also be alert to the particular ways in which ancient cities were irreducibly different from those in the modern world. As David Carballo, another archaeologist quoted in the Monitor article observes, the archaeological record “contains a treasure chest of experiments (emphasis added) in social life” that might shed light on such differences in ways that can also inform contemporary planning practice. 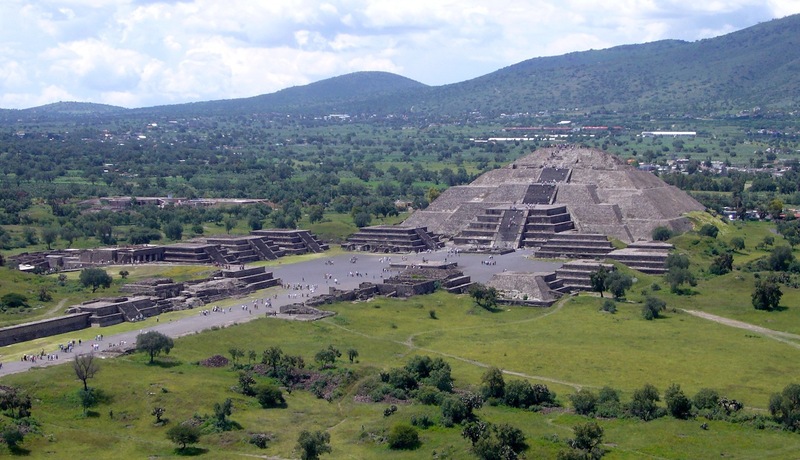 My students and I have been looking for such “experiments” this term in my Ancient City course, a worldwide survey of urban origins and evolution that includes Basin cities such as Teotihuacan. Like others who study the ancient city, we’re hamstrung by archaeology’s traditional obsession with pyramids, palaces, and royal tombs and its relative neglect of residential areas. We’re certainly stymied by archaeological research designs that ignore the spaces in between great public monuments and established neighborhoods, or at the edges of settlement where we might expect radical experiments in tactical, guerrilla, or “DIY” urbanism to have occurred. Still, even with existing data we’re struck by the different ways that ancient city planners distributed public space, green space, and other amenities. We’re intrigued by the sensitivity of ancient planners to local environmental conditions and how they, along with other creative classes, used history, iconography, materiality, and wider “sacred landscapes” to promote civic identity out of cultural diversity. We’re impressed by the ethnic and class heterogeneity of ancient neighborhoods in cities where they’ve been systematically excavated. Such heterogeneity offers some insight into what Leonie Sandercock calls “alternative forms of social and spatial belonging” that can fuel urban creativity while minimizing ethnic and class conflict. The plans of ancient cities that might be the most environmentally and culturally sustainable implicate policies of urban governance that run on heterarchy rather than hierarchy: i.e., political arrangements that allow citizens and interest groups wide latitude to exercise a “right to the city” without interference from planning elites. In other words, we’re most taken with the 15 percent of urban form that isn’t explicable with universal law, but that is every bit as important to building a science of cities. And therein may lie the most important lessons for contemporary urban planners and policy makers. This essay was originally posted at Planetizen and re-posted in a significantly edited and re-titled form at Sustainable Cities Collective.